For a while I've been looking for a mascara that really makes my eyes POP while not breaking the bank, and it's got to the point in the month/year where all of my make-up decides to run out at once. Even if I have very little foundation on, if my eyelashes and eyebrows are camera-ready then I look and feel okay to face the world for the day. 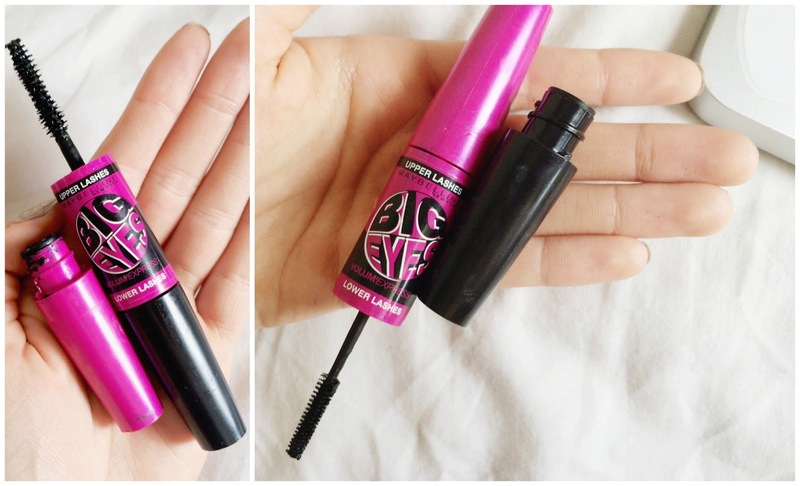 With it coming to the end of summer, a lot of us are slightly skint from all of the shenanigans of the past couple of months but Maybelline's Big Eye's mascara doesn't break the bank, in fact, this one was £3 from ASDA (supposed to be £7) as a promotional offer! The aspect that caught my eye (no pun intended) are the two different wands. I know not everyone puts mascara on their bottom lashes as it clumps easily, or makes your eyes heavier but the delicate little brush (pictured on the right above) lets you sweep a light, black coat onto your lashes without 1. poking yourself in the eye 2. turning yourself into a panda. I always find that coating the bottom lashes brings more attention to the eyes, opening them and accentuating the shape. The upper lash wand is slightly thicker, with twisting bristles that really 'push up' your lashes to give that deep, sultry look. Pictured below are my lashes before applying Maybelline's Mascara. Hey, hey hey, I know what you're thinking. 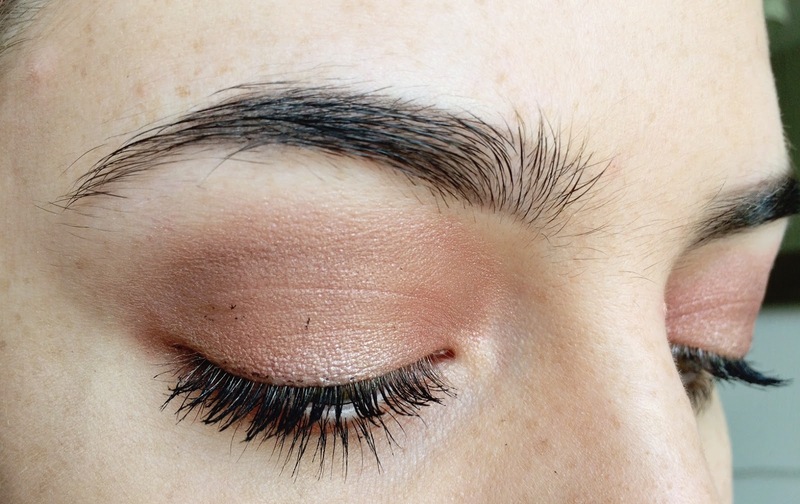 Look away from the unruly brows. It's been a little while since I tamed my furry slugs so cut a girl some slack! The photo below was after applying the mascara to top and bottom and apparently all over my eyelid. See the first photo in this post for an open eyed view. Look at those bottom lashes and how black it is! This smooth, non-clumpy formula managed to coat every layer of my lashes, though I still haven't mastered sweeping the brush from above without flattening them. The coverage was brilliant with the mascara not being too thick or thin, and for a girl who usually applies two different mascara's per eye every day, I only needed a lick of this to make my peepers pop. I love how it looks natural yet very pretty. 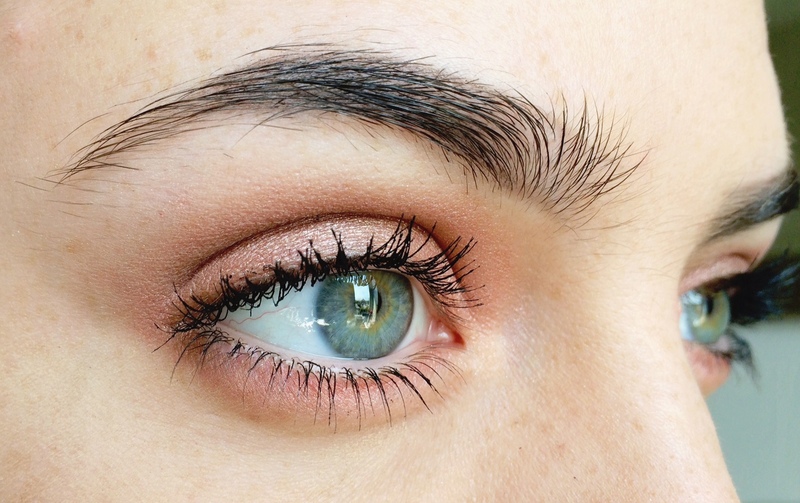 For a golden, winged version if this eye make-up take a look at this post. The verdict so far is that I love it! It doesn't break the bank and has lasted all day today without flaking, smudging or clumping. The only thing I could suggest to make this product better would be to put more of it in each of the tubes either side, though for the current price of £3 I may just have to buy two. 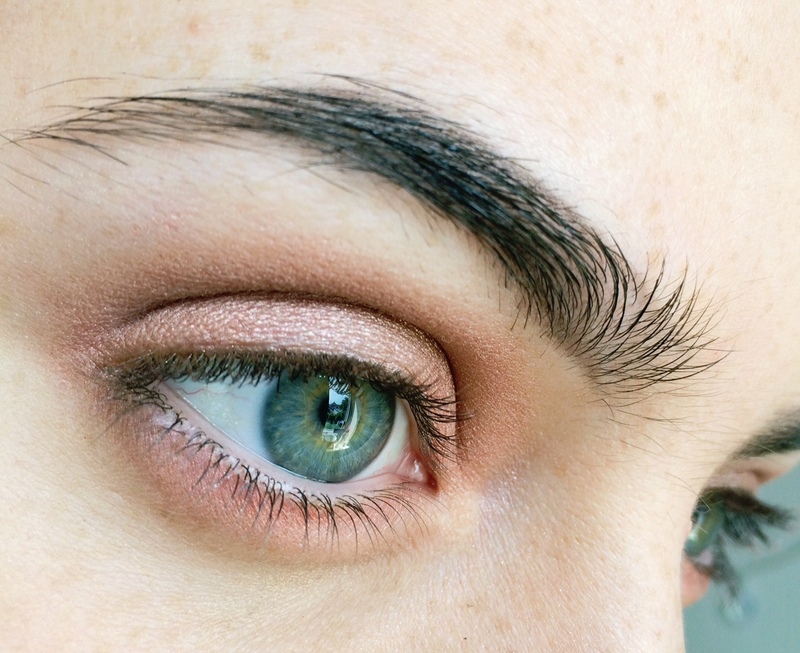 Do you go heavy on eye make-up? What's your favourite mascara?